The book is now available on Amazon in both printed and digital formats. Click on the format you want and a new tab will open to the pertinent Amazon sales page. Patsy Schwartz knows she has bigger problems to deal with than the Great Depression, the raging Dust Bowl, or another looming world war. 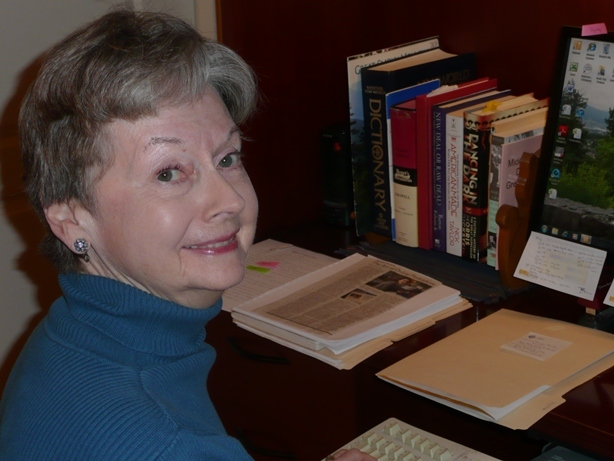 Forced to disappear from Baywater, Minnesota to avoid an arranged marriage to the local sheriff’s son, Patsy hits the open road with her best friend, Virginia Burg. 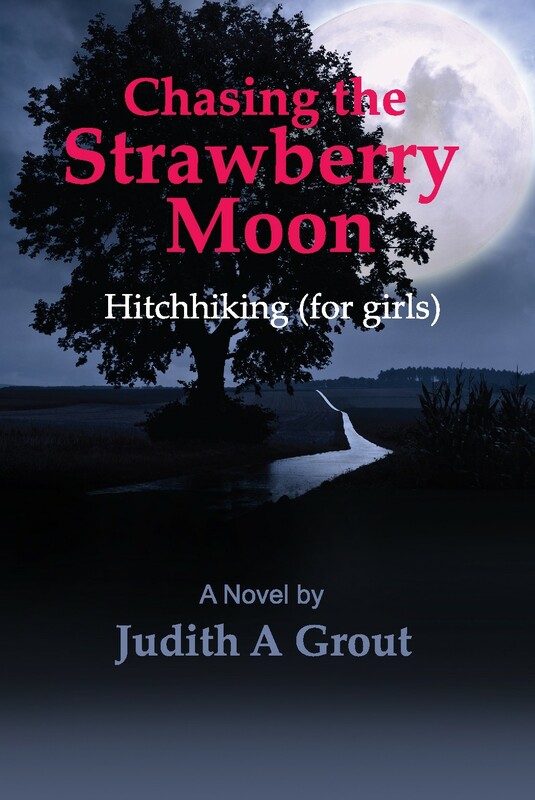 Chasing the Strawberry Moon, Hitchhiking (for Girls) is an account of the adventures of a young woman as she makes her way west, running from conniving parents, the mob, and corrupt local law enforcement. The novel weaves together the frustrations of young adults on the move surrounded by countrymen scrambling for survival. The Big War is waiting in the wings ready to take the best and brightest. Dust from the Great Plains is scratching their eyes and filling their nostrils, while Chicago hoods are trailing them along with the sheriff’s son from back home. Chasing the Strawberry Moon, Hitchhiking (for Girls) is based on the true story of Patricia Schwartz’s journey across the western United States during the sultry summer of 1939. Accompanied by her best friend, they thumb their way across the country, riding with truckers, ranchers, Communists, preachers, artists for the WPA, women motorcyclists, and Civilian Conservation Corpsmen, to name a few. The presentation below depicts scenes, locations, and people in the story. For more information on the images in the slideshow, click on “Slideshow Details” in the menu at the top of the page.